The blocks are extremely versatile and can be used for a wide range of creative effects. You can use them like pans of paint. 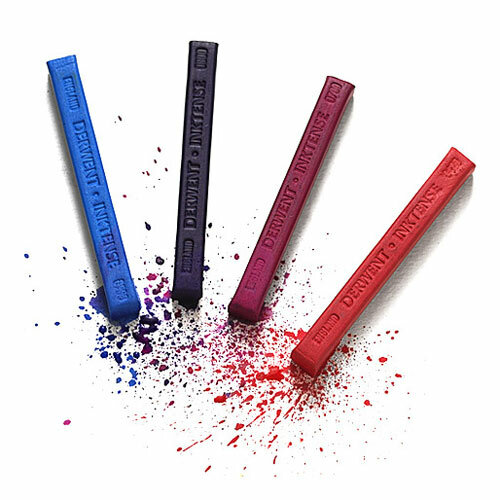 Dip them in water and apply colour directly to the paper, use dry on their side or apply directly to wet paper for instant intense colour. 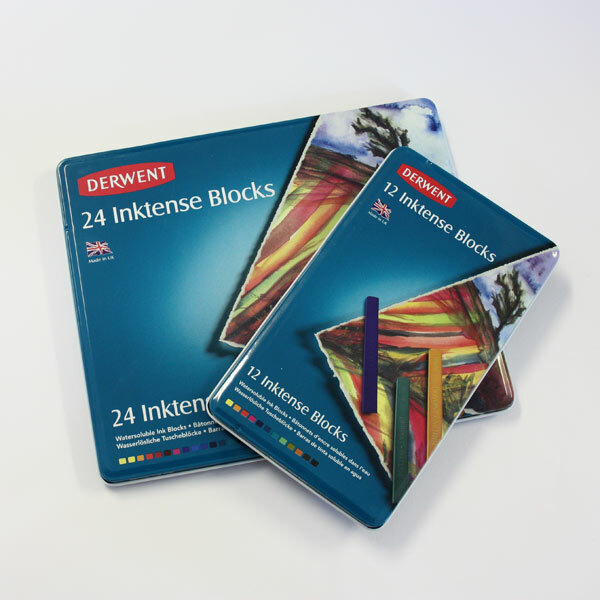 Click on the underlined link to view the Derwent Inktense Block Colour Chart and see which colours are included in each set.